The current execution state of the implementation of the Southern Gas Corridor (SGC) projects was disclosed, according to the report of the Energy Ministry. 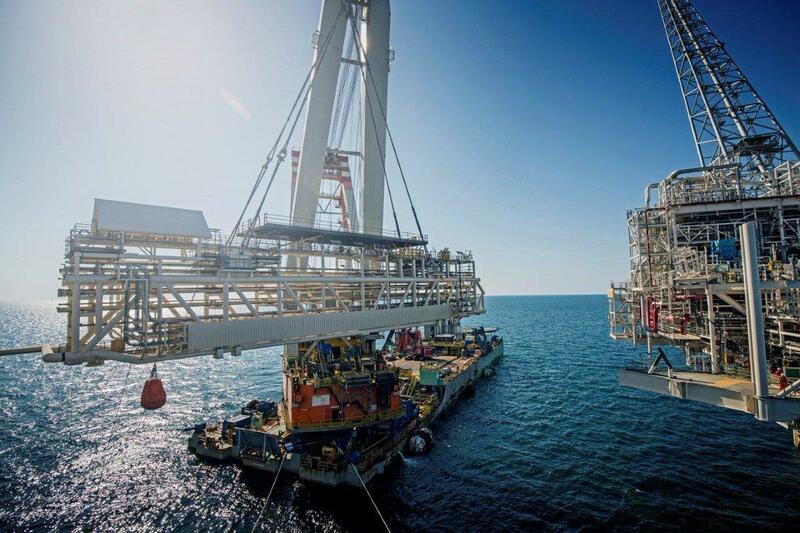 At the end of 2018, 100 percent of the total gas production work on the Shah Deniz-2 project, 92.3 percent of the work on full-scale development, 99.8 percent of the work on the South Caucasus Pipeline Expansion project, 98.8 percent of the construction works of TANAP and 82.4 percent of TAP pipeline construction works were implemented. The Southern Gas Corridor, $ 40 billion worth project, envisages the transportation of gas to Turkey and Europe through the pipeline, which will be operated within the second stage of the Shah Deniz gas condensate field project in the Azerbaijani sector of the Caspian Sea. Shah Deniz is a giant gas condensate field, reserves of which are estimated at 1.2 trillion cubic meters of gas and 240 million tons of condensates. Within the second stage of field development, the volume of gas production can be increased to 24 billion cubic meters per year, according to forecasts. The Southern Gas Corridor consists of four projects: Shah Deniz 2, Expansion of South Caucasus Pipeline (Baku-Tbilisi-Erzurum), the Trans Anatolian Pipeline (TANAP) and Trans Adriatic Pipeline (TAP). The projects have an estimated investment cost of approximately $40 billion. On May 29, Baku hosted the launch of the first phase of the Southern Gas Corridor project, and on June 12, the opening ceremony of the TANAP took place in the Turkish province of Eskisehir. Thus, the first gas from the Azerbaijani Shah Deniz field has already gone through the first segment of the Southern Gas Corridor - from the Sangachal terminal to the expanded South Caucasus Pipeline. Recently, TAP and TANAP successfully completed their connection on the banks of the Merich River on the Turkish-Greek border.